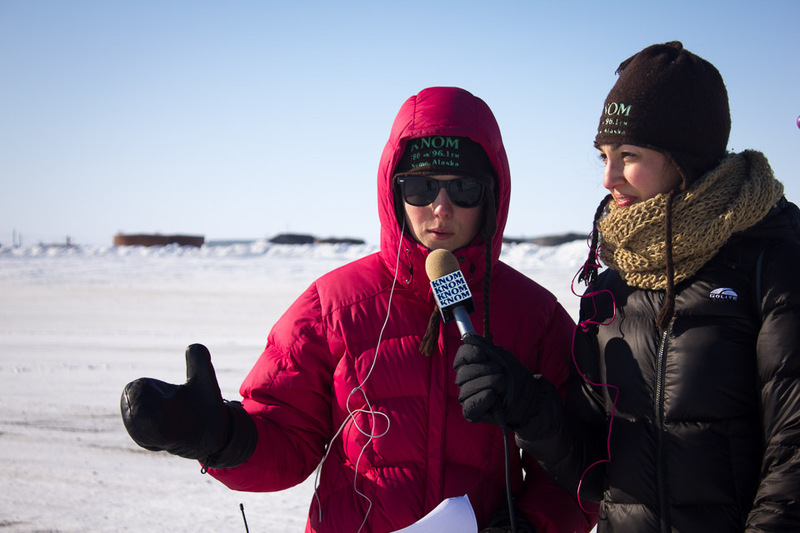 News volunteer alumnae Margaret DeMaioribus and Eva DeLappe report live from the start of the Nome Equinox Sled Dog Race, organized by the Nome Kennel Club. Verify that you are a US Citizen and will hold a Bachelor’s Degree by the start of your service year. Review our online application — or, if you prefer to apply by (postal) mail, download our application in PDF format. Fill out the application; make sure you include all information that’s requested. Shoot any questions to belong@knom.org. Submit your completed app, either online or by regular mail. See instructions below. Applications are accepted on a rolling basis until all positions are filled, with priority given to those received by February 15. The application review and interview process occurs in the spring, with positions starting in June and July. If you’re interested in applying later in the year, send an email to belong@knom.org. Inquiries are always welcome. Please note: among the requirements of your KNOM volunteer application are your university transcripts, which cannot be submitted electronically. KNOM will not accept photocopies or computer printouts of your grades. Place all of the items for your application in a single envelope. You can record your audio sample (for Part 16 of the application) on a CD; please include this in your application envelope and send it to the address above. Include your official signed/sealed university transcripts, or have them mailed directly from your registrar, as described above. 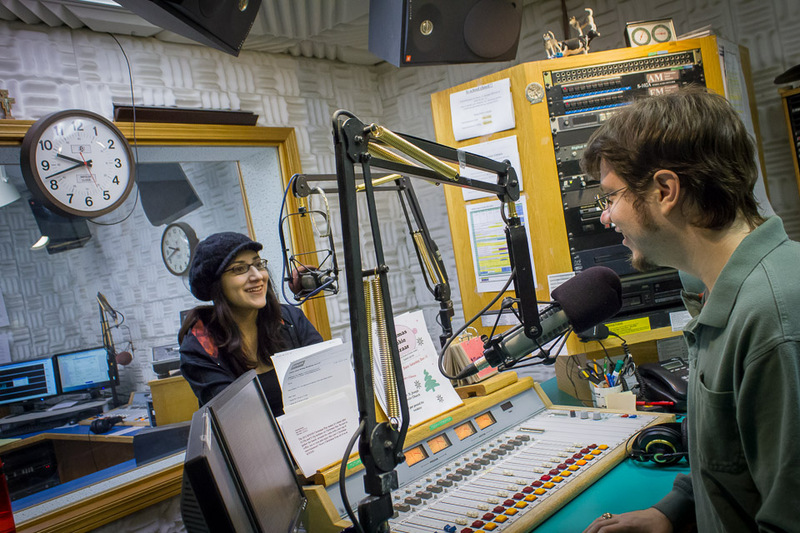 Volunteer alumni Dayneé Rosales and Lucus Keppel chat on the air from Studio A. All KNOM volunteer fellows must enter their term of service with a Bachelor’s Degree from a college or university. KNOM is unable to consider applications from “gap year” candidates or from any other applicant who will not have completed a Bachelor’s Degree by the beginning of her or his service year. All applicants must be citizens of the United States. We are currently unable to consider applications from outside the U.S. Unfortunately, because of the limitations of our volunteer housing, we are unable to consider applications from married couples. Accommodations in our volunteer dormitory consist of twin-sized beds in individual rooms; we regret that we do not have the appropriate facilities to accommodate married couples or families. If you can’t find what you’re looking for, shoot an email to belong@knom.org.